Stretching across the continent from Alaska to Newfoundland, the North American Boreal Forest is a critically important breeding ground for billions of North America's birds. 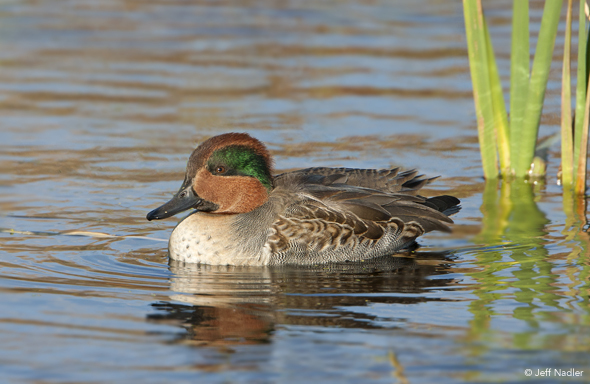 The boreal is vital to the abundance of bird life in the U.S. and Canada and contributes in a significant way to bird life all the way from Mexico to South America. Nearly 50% of the 700 species that regularly occur in the U.S. and Canada rely on the boreal for their survival. More than 300 species regularly breed in the boreal. During spring migration up to 3 billion birds migrate north up to their breeding grounds in the boreal forest. Up to 5 billion birds (adults and offspring) then migrate south out of the boreal each fall after breeding. More than 1 billion of these migrants spend the winter in the U.S., making it the largest wintering grounds for boreal birds such as Yellow-rumped Warblers, White-crowned Sparrows, Rusty Blackbirds, and Ruby-crowned Kinglets. 80% of the waterfowl species of North America, 63% of the finch species, and 53% of warbler species breed in the boreal. For nearly 100 species, 50% or more of their entire breeding populations occur in the boreal. For 35 species, more than 80% of their entire breeding populations occur in the boreal. The boreal forest's importance in sustaining billions of North America's migratory birds is why the boreal has been dubbed 'North America's Bird Nursery'. The White-throated Sparrow's slow, clear song—"pure sweet Canada, Canada, Canada"—heard across still lakes and through the rugged forests, is an anthem for the boreal's unspoiled wilderness. While the majority of the Canada's boreal forest is presently considered ecologically intact, oil and gas, timber, mining, and hydroelectric development are pushing northwards at increasing rates. In Ontario alone, 44,000 migratory bird nests were lost in 2001 due to logging. If historic harvest levels continue, around 15 million acres of Canadian Boreal Forest will be logged in the coming decade—that's more than 3,000 American-sized football fields per day! Given existing and proposed development in virtually every Canadian province and territory, the future of the boreal ecosystem and the birds that breed there will be largely determined over the next 5 to 10 years. Canada's boreal forest offers the best opportunity left in the world for large-scale habitat conservation. Birders have been concerned with the wintering grounds of many North American migratory birds, but now it is apparent that we must focus attention on their North American breeding grounds as well.